Clear glass dinnerware with clean lines and beaded texture that tap into vintage trends. 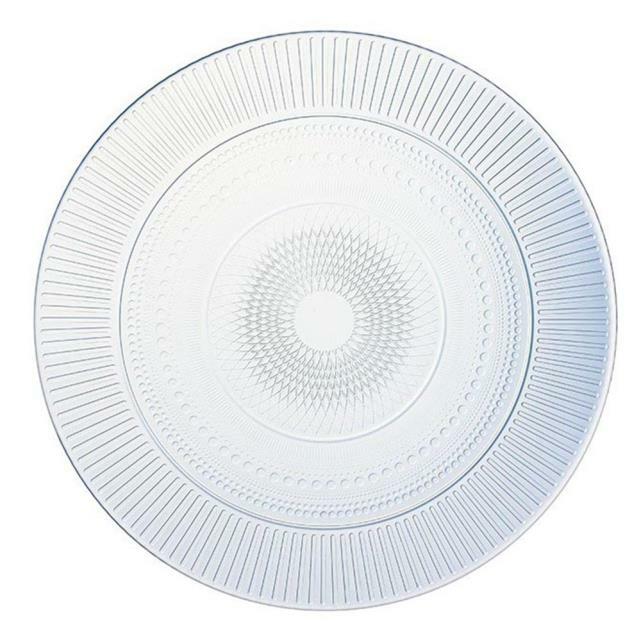 7 1/2" diameter plate can be used as smaller salad plate, bread plate or dessert plate. Rented in units of 10. * Please call us with any questions you may have about our embossed glass plate 7.5 inch 10/unit rentals/sales in State College, serving Central Pennsylvania.